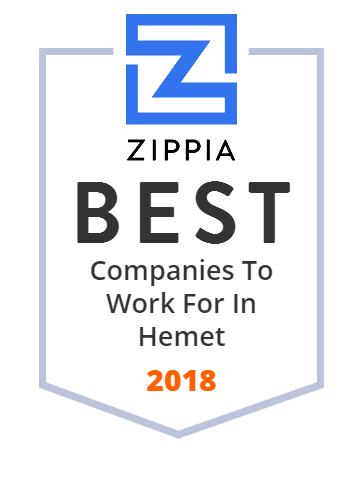 We hand-curated a list of the best companies to work for headquartered in and around Hemet, CA using data on salaries, company financial health, and employee diversity. Physicians for Healthy Hospitals, Inc. owns and operates hospitals in Hemet and Menifee, California. Its services include emergency, cardiac catheterization, cardiac care, CT scan, magnetic resonance imaging, day surgery (outpatient), endoscopy, recovery center and sage retreat, laboratory, surgical, maternity and nursery, oncology care, orthopedic surgery, joint replacement, physical therapy, radiation therapy, speech and occupational therapy, and subacute unit services; and post-graduate medical education. The company was incorporated in 2009 and is based in Hemet, California. The City of Hemet, California official Twitter account. Hemet Valley Medical Center operates a hospital that provides an array of inpatient and outpatient services. Its services include emergency care, cardiac catheterization, cardiac care, CT scan, magnetic resonance imaging, day surgery (outpatient), endoscopy, patient transportation, recovery center and sage retreat, laboratory, surgical, maternity and nursery, oncology care, orthopedic surgery, joint replacement, physical therapy, radiation therapy, speech and occupational therapy, and subacute care. The company was founded in 1943 and is based in Hemet, California. Hemet Valley Medical Center operates as a subsidiary of Physicians for Healthy Hospitals, Inc.